In the context of the second edition of the Brussels Global Law Week, Paul Schiff Berman will deliver the Paul Foriers Lecture 2016 on May 10 at 4:00 PM. He will present his theory of global legal pluralism. The lecture will be held in the room K.4.601 at the Solbosch Campus. See the full programme of the Brussels Global Law Week for more information. Paul Schiff Berman is Walter S. Cox Professor of Law at George Washington University Law School. He is the author of nearly fifty scholarly works, including Global Legal Pluralism : A Jurisprudence of Law Beyond Borders, published by Cambridge University Press in 2012. 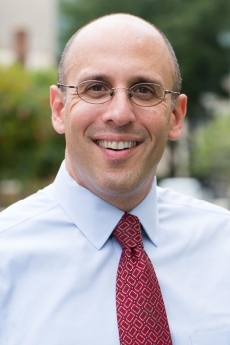 He has previously served as the Jesse Root Professor of Law at the University of Connecticut School of Law, where he taught from 1998-2008. For the 2006–07 academic year, Professor Berman was a Visiting Professor and Visiting Research Scholar at Princeton University in the Program in Law and Public Affairs. He also serves on the Organizing Committee of the Association for the Study of Law, Culture, and the Humanities and is Co-Chair of the International Law and Technology Interest Group of the American Society of International Law.